Today I can show you a little progress on the cot quilt front. 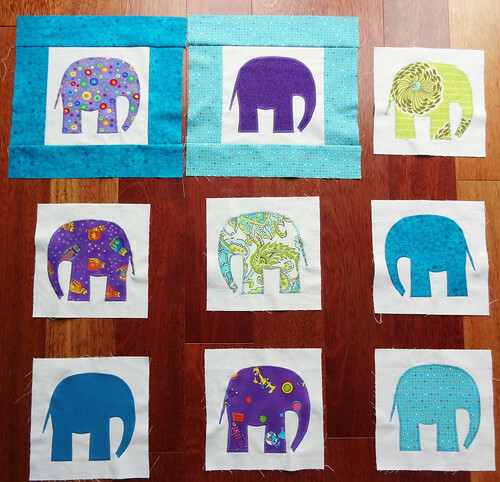 I finally got the Heat 'n' Bond Lite that I had been waiting for, and I have now made my final three elephant blocks. I have to say, the Heat 'n' Bond Lite is pretty good stuff. It's less rigid than the other interfacing that I had in my crafting cupboard, from eons ago. I think I would use it again for this style of applique. I now want to whizz on with the borders on the rest of the blocks, but at least I have the fiddly applique done now. I'm loving this project and I hate not being able to just sit at the machine for a couple of days and finishing it off. Ah well, things can't be changed, I'll just have to enjoy it when I can work on it. 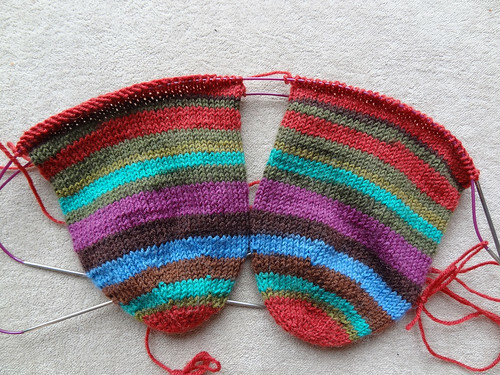 In knitting news I have been knitting a bit of my socks. Not much progress, but that is because I've been working on my shawls. Still, I get great satisfaction from the way the stripes are lining up. In shawl news, I have finished my KAL Shawl. I did this far too quickly, but it does give me some leeway to start work on a new pattern that I've had in my head for a few weeks. It's a sweet little shawlette that I hope I can create from the image in my head. I've only ripped back once so far, but I only started yesterday. I hope to have more to share next week about this one. 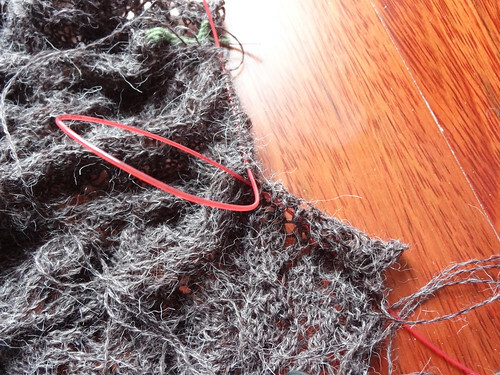 I have also been ploughing on with my Leaves of Grass Shawl. The edging has taken forever! Isn't it a lovely blob? This is going to be huge when it is blocked! Should be a fun adventure trying to block it. I don't know if I have anywhere big enough to lay it down flat. I may have to wait for a dry and sunny day and put it outside! I nearly finished this, and then I found the end wouldn't graft onto the starting row. I've obviously gone wrong somewhere. I'm about 3 stitches out. I've had to rip back so I can reduce the extra stitches over a reasonable amount of edging, so it doesn't bunch up. So far I have pulled back 48 rows. I might rip back for another 20-30 rows and then try again! So disappointing to be so close to the end, and then having to fix something from hundreds of rows previous. I will get it finished this week though. 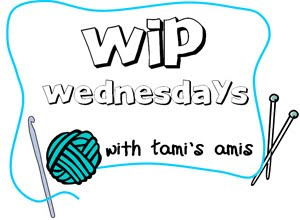 I feel like real progress has been made this week, I wonder what I'll have to share with you by next week! I feel like I have got my crafting mojo back, after swimming through the fog of the increased levels of painkillers over the last couple of months. Hopefully things will get back to being a bit more predictable again. 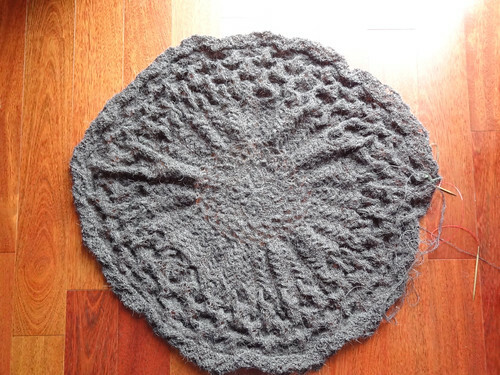 Click on the button to have a look at what other people are creating, and I'll show you my finished shawl when I have some decent photos.